When Cesar Romero stepped into the Joker’s shoes in the 1960s Batman TV series and movie, he had no idea he would become the progenitor of a stunning cinematic legacy. In the years since, several actors have endeavored to put their stamp on the iconic villain. Jack Nicholson portrayed the Joker as a noir-style gangster, but imbued him with a macabre sense of humor befitting the style of director Tim Burton’s original Batman film (or, as most fans refer to it these days, Batman ’89). There were even rumors that Nicholson was going to do a cameo in a fifth Batman film with George Clooney in the lead and Harley Quinn as the main villain, the twist being that she would be the daughter of the Joker – a rather odd twist, to say the least. While this vision for Batman and the Joker never came to fruition, the two definitive versions of the latter were just around the corner. The first one was the Joker of Batman: The Animated Series and the concurrent major motion picture, Batman: Mask of the Phantasm. While the series would begin with a Joker voiced by Tim Curry, it wasn’t long before Star Wars icon Mark Hamill was bought in as the Clown Prince of Crime, forever redefining the character. Hamill once described his take on the Joker by explaining how he would give the character a different laugh according to his emotions. It has been incredibly fascinating to watch Hamill as the Joker over the years, arguably reaching its apex with The Killing Joke, an adaptation of the iconic graphic novel by Allen Moore. Hamill once said The Killing Joke would likely be the last time he would play the role, so I was glad that he has continued on through the latest DC animated television offering Justice League Action. While I hope Hamill sticks around for years to come, the character’s cinematic legacy has continued to thrive in the form of Heath Ledger. At first, Heath Ledger was considered a poor choice to play the Joker by the fandom, with many hoping Robin Williams would take the part. 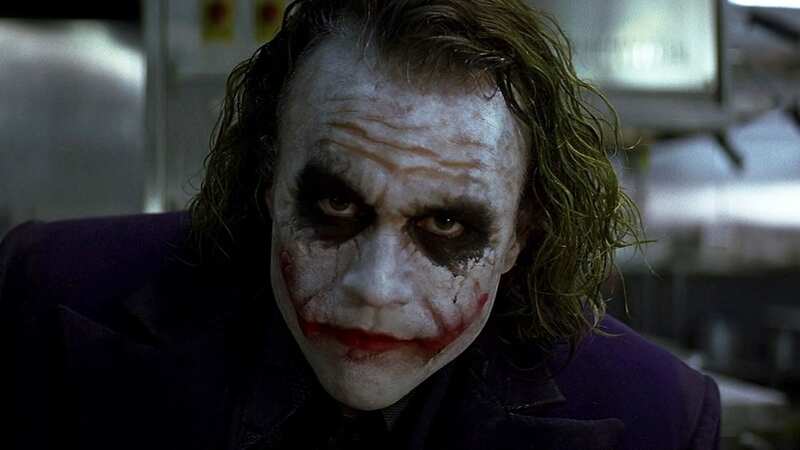 However, one should never bet against Christopher Nolan, who presented The Dark Knight as a crime epic featuring a deranged performance from Ledger that transcended the comic book movie genre. The brilliant performance only serves to compound the tragedy of his death, and one can’t help but wonder what the final chapter in the Dark Knight trilogy would’ve looked like had he lived. At the very least, we can take solace in the fact that Ledger has left behind a performance that will be remembered for generations of DC fans. As a result of this, when Gotham was first announced I couldn’t help but wonder how they would work in the Joker. Sure, it wasn’t a movie, but with the original conceit of Gotham centering on the origins of Gotham’s decay, it would stand to reason that the Joker would show up in some way. The only question was, how? Getting Cameron Monaghan for the role (or roles, as the case may be) was a stroke of genius and gave him a chance to show his range outside of Shameless. His performance presented what I felt was a cool amalgamation of Ledger and Hamill, and I can’t wait to see how he’s going to bring it home over the course of the final season. Then came Jared Leto’s performance in Suicide Squad. To say this was anticipated would have been the understatement of the year; Leto was the first actor to play the Joker on the big screen since Ledger’s now-iconic turn. Unfortunately, Leto’s on-set antics were far more memorable than his actual performance. Don’t get me wrong; he gave a fine turn as the Clown Prince of Crime. I just don’t think there was enough material to make a judgment one way or another on Leto’s Joker. A big question in the wake of Suicide Squad was what would be done with the iconic villain going forward, with rumors of a Joker/Harley Quinn spinoff taking the internet by storm. Then a stand-alone Joker movie announcement made the internet go, “huh?” I have to admit, this development made me very happy. DC has always been known for its emphasis on a multi-verse, so if any comic book universe was going to take this leap, it only makes sense it should be DC. Then, with the reveal of Martin Scorsese’s involvement and the rumors that frequent Scorsese collaborator Leonardo DiCaprio was being courted for the lead role, all eyes were on this 80s-set film. It seemed like within just a few weeks of the movie being announced that Joaquin Phoenix had been cast in the role. This choice also raised a few eyebrows, as Phoenix was also linked to the part of Doctor Strange before Sherlock’s Benedict Cumberbatch was cast. The sticking point seemed to be the idea of a multiple-picture contract. In a recent interview about why he took on the role, Phoenix mentioned that he had had a conversation several years ago about how he wished these comic book movies would go for a one-off character study; you could come in, put your stamp on the role, then walk away. Thanks to the DC Black Label and the foresight of Warner Bros, it looks as though he has finally been given the opportunity. To me, the big question mark in all of this is Todd Phillips. I’ve never thought of him as the ideal choice to direct a comic book film, but given his previous work on the Hangover movies and War Dogs, he deserves a chance to stretch into bold new material. It doesn’t get much bolder than a standalone film about the Joker. It’s fair to say no one saw this Joker movie coming. Yet the chance to see Joaquin Phoenix take on a comic book role is undeniably exciting. Although Scorsese is no longer involved with the project, the remaining creatives are more than enough to keep me intrigued. Here’s hoping Joker will only be the beginning in a long line of standalone films set in the iconic DC universe. batman comic books DC Comics Joaquin Phoenix joker movies The Joker Todd Phillips Villains Warner Bros.